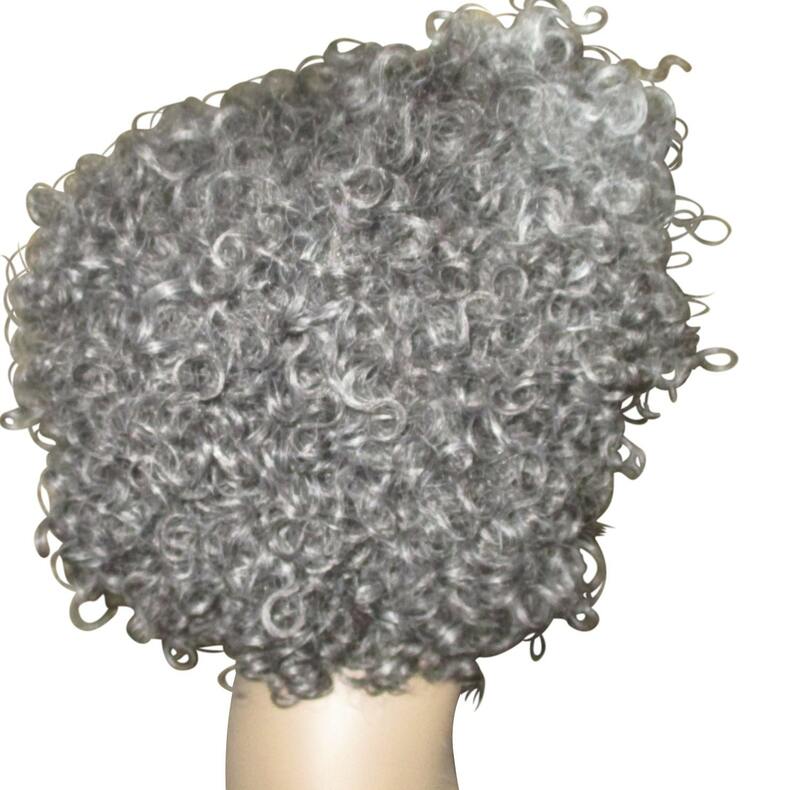 Here is a beautiful natural hair wig which was created to mimic natural afro gray hair. 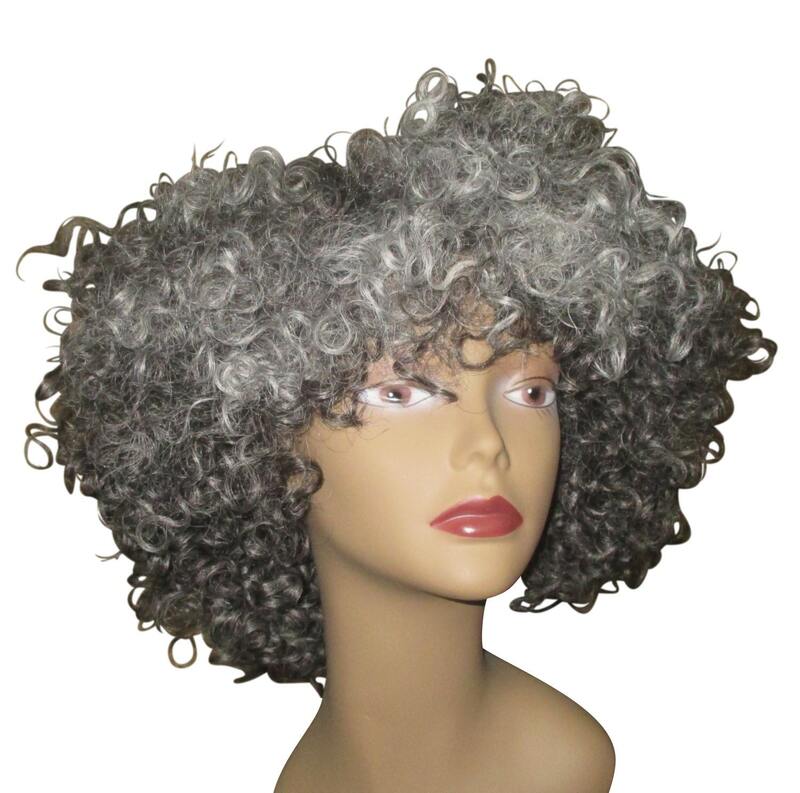 Perfect for our more mature curlies who are looking for a protective unit for their natural hair. The hair has lovely wavy curls that move freely with every twist and turn. 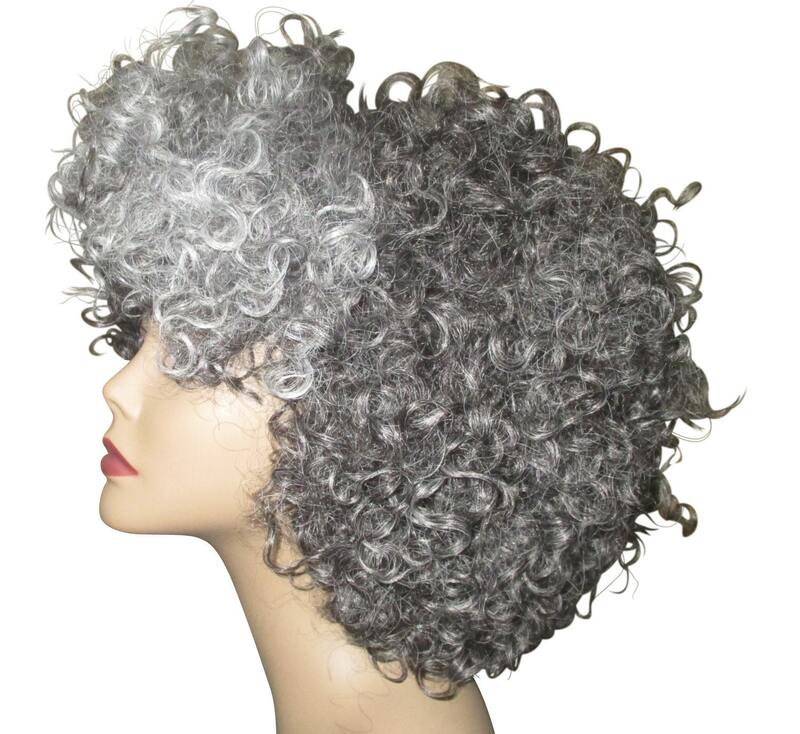 It is a shorter length wig and perfect for every day wear or wear to work. 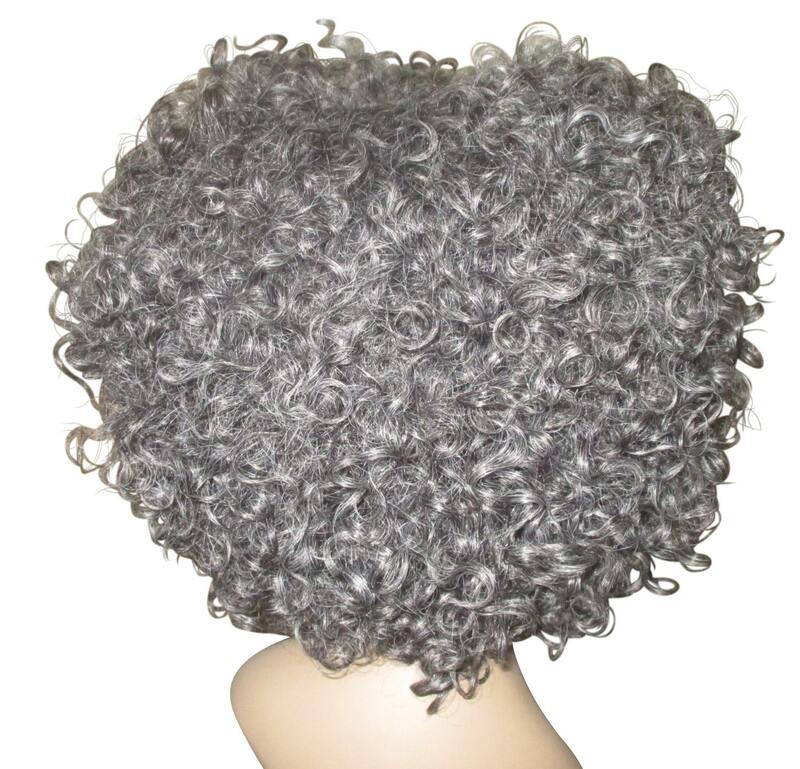 Wig has adjustable straps. Ready to be worn.